In the ``ideal'' world into which Jonas was born, everybody has sensibly agreed that well-matched married couples will raise exactly two offspring, one boy and one girl. These children's adolescent sexual impulses will be stifled with specially prescribed drugs; at age 12 they will receive an appropriate career assignment, sensibly chosen by the community's Elders. This is a world in which the old live in group homes and are ``released''--to great celebration--at the proper time; the few infants who do not develop according to schedule are also ``released,'' but with no fanfare. Lowry's development of this civilization is so deft that her readers, like the community's citizens, will be easily seduced by the chimera of this ordered, pain-free society. Until the time that Jonah begins training for his job assignment--the rigorous and prestigious position of Receiver of Memory--he, too, is a complacent model citizen. But as his near-mystical training progresses, and he is weighed down and enriched with society's collective memories of a world as stimulating as it was flawed, Jonas grows increasingly aware of the hypocrisy that rules his world. With a storyline that hints at Christian allegory and an eerie futuristic setting, this intriguing novel calls to mind John Christopher's Tripods trilogy and Hans Christian Andersen's The Little Match Girl. Lowry is once again in top form--raising many questions while answering few, and unwinding a tale fit for the most adventurous readers. Ages 12-14. (Apr.) Copyright 1993 Cahners Business Information. Gr 6-9-- In a complete departure from her other novels, Lowry has written an intriguing story set in a society that is uniformly run by a Committee of Elders. Twelve-year-old Jonas's confidence in his comfortable ``normal'' existence as a member of this well-ordered community is shaken when he is assigned his life's work as the Receiver. The Giver, who passes on to Jonas the burden of being the holder for the community of all memory ``back and back and back,'' teaches him the cost of living in an environment that is ``without color, pain, or past.'' 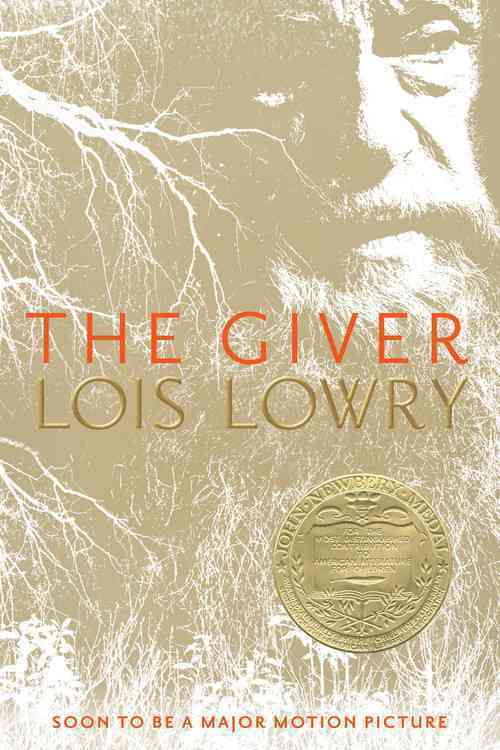 The tension leading up to the Ceremony, in which children are promoted not to another grade but to another stage in their life, and the drama and responsibility of the sessions with The Giver are gripping. The final flight for survival is as riveting as it is inevitable. The author makes real abstract concepts, such as the meaning of a life in which there are virtually no choices to be made and no experiences with deep feelings. This tightly plotted story and its believable characters will stay with readers for a long time. --Amy Kellman, The Carnegie Library of Pittsburgh Copyright 1993 Cahners Business Information.